Home School Roller Skating to Christian Music! This event is open to all Home Schooler’s in the Jackson Area! Please come join us in fellowship and fun! 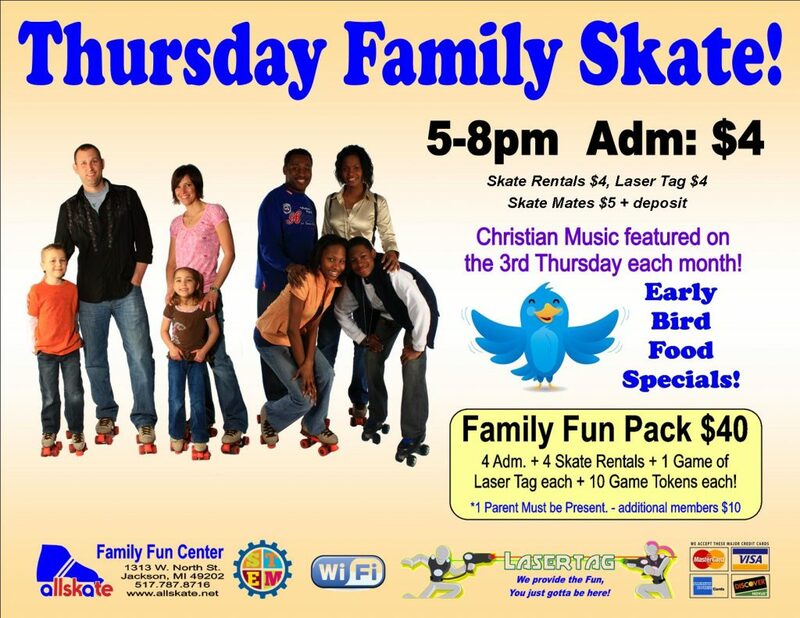 Admission is $6 with free skate rental! The Snack Bar, Laser Tag, and Game Room will all be available. Allskate Fun Center is available to reserve for private events! Rent out the facility for just about any type of special event. We have a spacious facility perfect for birthday parties, employee meetings, team bonding, end of season sport parties and any other event you can think of! We have packages to include food, skating, laser tag and a combination of the three. Call our office at 517-787-8716 to speak to our experienced event staff to organize the perfect session for your group today!